Inspired by a symposium held at the University of Southern California, March 1988, dedicated to Paul von R. Schleyer. Contributors examine the role of ``hypercarbons'' in several areas of chemistry, systematically covering the multicenter bonding of ``hypercarbons'' relative to the chemistry of main group elements, organometallics, cluster chemistry, carbocations, and hydrocarbon chemistry. GEORGE A. OLAH, PhD, - 1927-2017 - was awarded the 1994 Nobel Prize in Chemistry for his work in hydrocarbon chemistry. Professor Olah was Director of the Loker Hydrocarbon Research Institute at the University of Southern California in Los Angeles. His research focused on the generation and reactivity of carbocations via superacids. My Thirty Years in Hydrocarbon Cages: From Adamantane toDodecahedrane (P. Schleyer). Catalytic Routes to Adamantane and Its Homologues (M. McKervey& J. Rooney). The Superacid Route to 1-Adamantyl Cation (T. Sorensen & S.Whitworth). 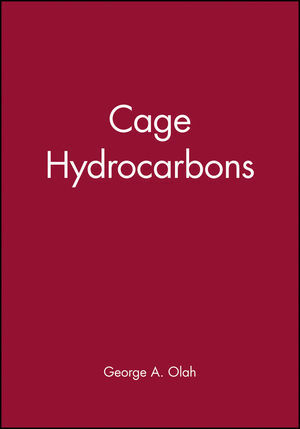 Carbocations and Electrophilic Reactions of Cage Hydrocarbons (G.Olah). Fragmentation and Transannular Cyclization Routes to CageHydrocarbons (A. Yurchenko). Bridgehead Reactivity in Solvolysis Reactions (P. Muller & J.Mareda). Stabilization of Cage Compounds through Steric Hindrance bytert-Butyl Groups (G. Maier, et al.). Homologues of Barrelene, Bullvalene, and Benzene: Concepts,Questions, and Results (A. de Meijere). The [n]Peristylane-Polyhedrane Connection (L. Paquette). The Pagodane Route to Dodecahedrane (W. Fessner & H.Prinzbach).